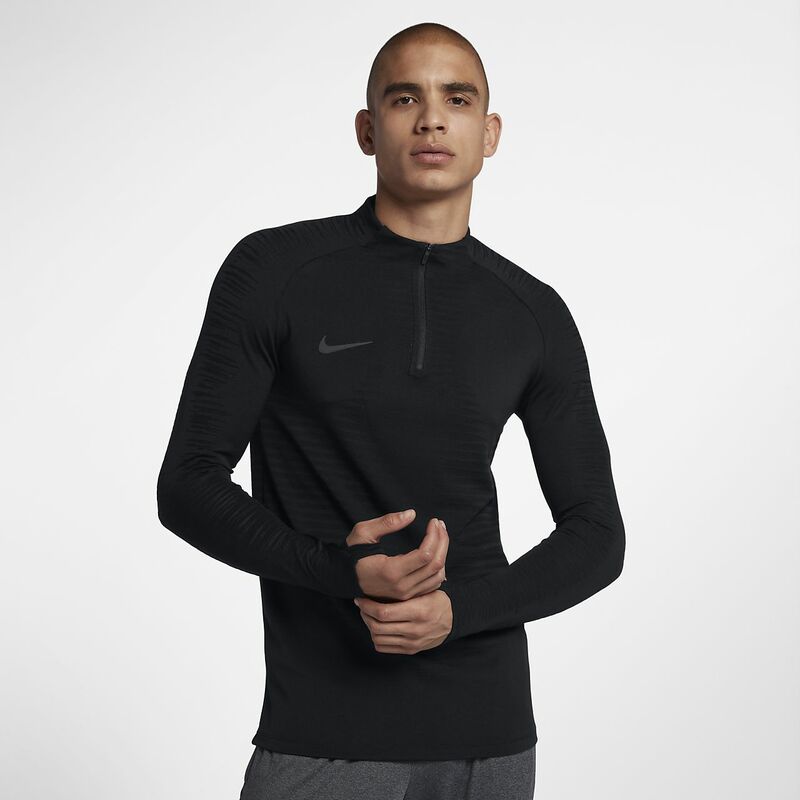 The Nike VaporKnit Strike Men’s Long Sleeve Soccer Top features high-stretch, quick-drying fabric that combats cling and extra moisture. You get warmth where you need it and ventilation in key areas to help you stay cool. VaporKnit technology is engineered to seamlessly combine exceptional lightweight cooling, reduced cling and precision fit to help keep you your fastest from start to finish. High-stretch fabric combines with a slim fit to let you move freely and comfortably. The fabric has a more breathable design in high-heat zones to allow ventilation. The quarter-zip design lets you adjust your coverage. Fabric: Body: 90% polyester/10% spandex. Sleeves: 90-91% polyester/9-10% spandex.